500 words from is an occasional series in which novelists and short story writers talk about their newly-published books. Stephanie Han is an American with family roots in Korea. She now divides her time between Hong Kong and Hawaii, home of her family since 1904. Her short stories cross the borders and boundaries of Hong Kong, Korea, and the United States. 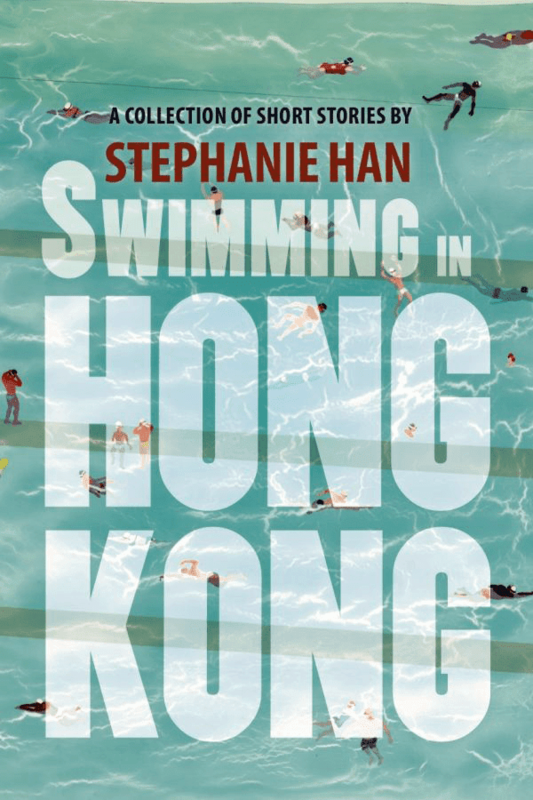 Swimming in Hong Kong is Stephanie’s debut collection. It has won wide praise, including from Viet Thanh Nguyen, author of The Sympathizer. It explores the geography of hope and love, as its characters struggle with dreams of longing and home, and wander in the myths of memory and desire. My book of short fiction covers three places: Korea, the US, and Hong Kong. During the course of writing these stories I was examining how we shift the vision we hold of ourselves according to our geographic location. Place determines narrative - we constantly tell different stories to make sense of where we are. Every place we live or visit brings out another side or aspect of our personality and belief system. Place obliges us to disrupt a previously held idea of how we think of the world and to rewrite our personal story, if only metaphorically in our minds. Movement teaches us that we are always more than one identity; we always belong to more than one group. The extent to which we elide the definition of a singular group is down to both personality and the type of group we belong to, but I believe that when people leave their home country, they transform and often join different groups for purposes of emotional and physical survival. We tell ourselves stories based on what we need to hear to thrive in a new place. When we are isolated, or out of our regular social milieu, we manifest a version of ourselves we could never imagine. We may become more experimental or at the very least more tolerant. We reinvent for the sake of curiosity or necessity. At the same time, we cling to ideas from our former lives for strength. This incongruous behavior makes for upheaval: diving into memory for validation or as an anchor, and simultaneously embracing new worlds that often challenge core ideas we have of ourselves. The complications of doing this, the conflicts that this provokes, greatly interests me. This type of upheaval happens under many circumstances, but moving into a new geographic region guarantees a new narrative. It may not be the narrative one wants to tell about oneself, nor is it easily understood, but it will always be relevant to who we are. Like many young writers, my initial stories were always set in my home country, the US. I was exploring belonging, participation, and citizenship. Asian Americans are marginalised from mainstream discussions of race, which tend to be painted in broad strokes of black and white. Since my maternal family hailed from the very first Korean immigrant group to Hawaii in 1904, my ties to Asia are not as straightforward as many first and second generation Asian American writers. For a long time, American identity was a central question in my writing. I am no longer concerned with this question at this stage of my life, a function of age, experience, and my personal take that there are a multitude of ways to express an American self. This very idea, by the way, is quintessentially American. When I sojourned to Korea, the gaps and discontent that I had long harboured did not entirely disappear from my psyche, but were made clear. When I stepped foot in another geographic region where I could claim membership to a majority group a great deal of anger and discontent simply fell away. I could visually belong in a manner that was impossible in the US. I began to write stories set in Korea. The majority of the stories in my collection are about Korean and Korean American characters, yet what brought me to question in depth, the very nature of how we group, was Hong Kong. There I navigated with physical anonymity in a culture that was completely foreign, even in its expression of English language - given it was a former British, not American colony. Hong Kong drove home the 21st century reality of polyculturalism. I came to clearly see how much global capitalism defines and dictates our behaviour. I believe that this is the central question of our time, and if you look very carefully, it is the one that most of us are trying to grapple with in our writing. It’s disguised and hidden, but all of us are trying to understand the lives that are lived in a paradigm of global capitalism. I believe that finding a place that allows you to personally grasp a conception of global capitalism is important as this will help push the narrative forward that you need to understand, and that most of us need to hear. 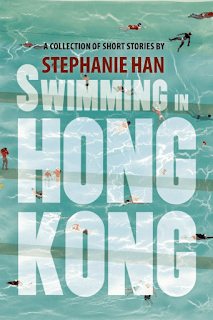 Details: Swimming in Hong Kong is published by Willow Springs Books in paperback. Priced in local currencies.